Kappa Kappa Psi is a co-ed music fraternity for students who are interested in playing band instruments in an ensemble. The fraternity has just finished judging submissions from their "Call for Scores" contest, where musicians from around the globe submit their scores to middle schools and high schools in Arizona, providing the music programs with a wide variety of pieces to choose from when teaching music to students. This gives new artists an opportunity to have their music heard and recorded. Submissions, which were advertised to musicians across both the Atlantic and Pacific oceans, began in January and were closed on April 3. Secondary education junior Conor Smith said the fraternity has received music submissions from all over the world. “We have received submissions from Japan, Israel and Italy,” Smith said. A committee of seven fraternity members was picked to review the pieces and choose which ones will be disseminated to the Arizona schools. They chose based on a variety of criteria including whether the music can be played at a middle school level and if younger students would be interested in playing them. In past years, Call for Scores was originally called Composition Competition, but this year the fraternity decided to change the name because they wanted to give off a different message. “We didn’t want the connotation that it is a cut-throat competition,” Smith said. Smith and other club members said the new name was a way to rebrand the event as something positive for everybody, where both local schools and musicians received the benefit. The distinction is important because the project is a way for Kappa Kappa Psi to give back to the community in a way that they are familiar with. Music education sophomore Aliyah Qualls added there are two main goals of the Call for Scores event: to discover new composers and to widen the opportunities available to intermediate and beginning band music. Qualls said programs like this are much needed because there is a lot of light on advanced and early beginner music and not enough on the people who are in the middle. “We have the resources to make things accessible for people, so like getting their recordings," Qualls said. "We have so many schools who are looking for more repertoire." Kappa Kappa Psi will be recording the six chosen pieces this coming Sunday as a whole and local middle and high schools can reach out and use the recorded music with their students. “I don’t know any other colleges who do events like this,” Qualls said. 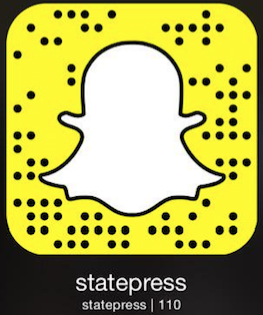 Reach the reporter at editomass@asu.edu or follow @emily_ditomasso on Twitter.